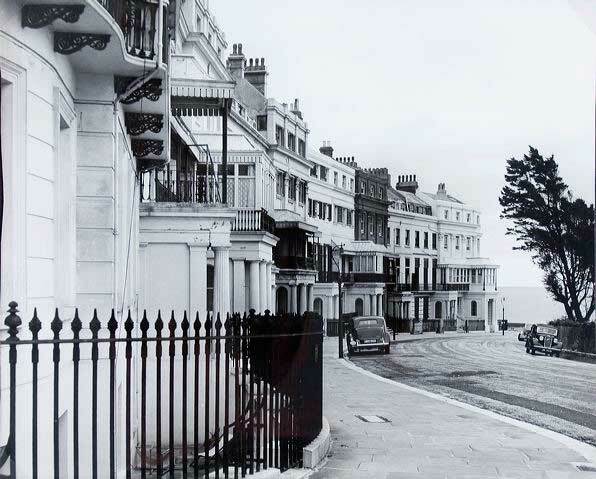 Although their architectural impact can only be fully appreciated from the air or out at sea, the 28 houses that comprise Lewes Crescent nevertheless provide a fine vista from almost any direction. The houses step up the slope in groups of three with Corinthian pilasters on the first of each group, though No 7 has lost its acanthus leaves. The balconies similarly step up by the height of the railings every third house. This simple and logical idea contributes greatly to the unfolding drama of the estate. 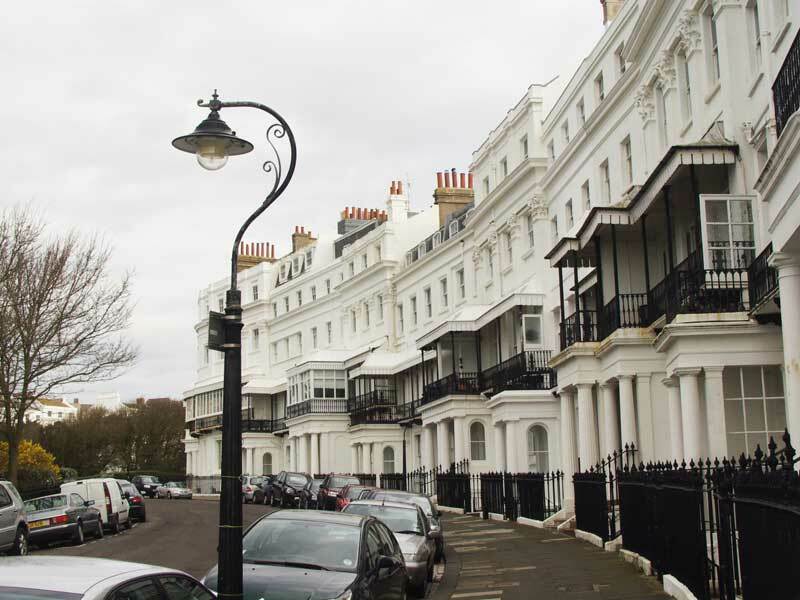 The two sides of the crescent are broadly similar architecturally, except that more of the houses on the eastern arm have porches, some of them with glazed verandas overhead. Only Nos 1 and 2 (the Devonshire houses) on the western arm have porches. There also seems to be a missing house (No 15) on the eastern arm; the answer is that it was subsumed into the very extensive No 16 in the early 1900s. 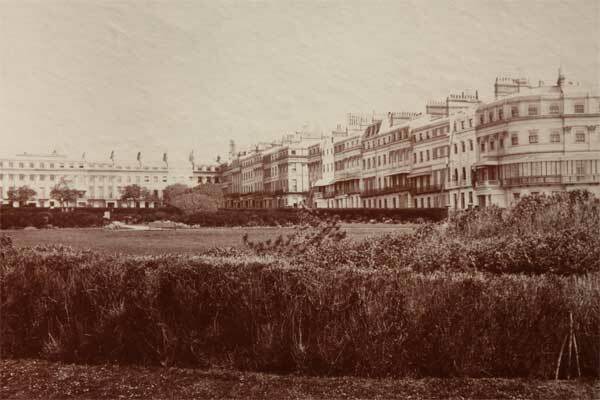 The 6th Duke of Devonshire purchased the shell or carcass of No 1 in 1829. 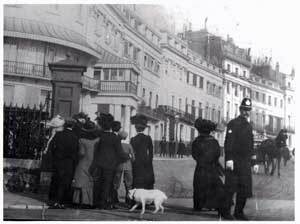 It is the fulcrum of Lewes Crescent and Chichester Terrace and the Duke described it as being like a ‘fan without a handle’. The shape may be irregular but the interior of the house is magnificent with fine painted ceilings, an elegant cantilevered staircase with a dial of the gilded weathervane on the roof halfway up it. In a book published privately in 1845, the Duke vividly describes the experience of living for so many seasons effectively on a building site surrounded by scaffolding. Notwithstanding these inconveniences, a succession of crowned heads of state visited the house in the 1850s. So did Metternich, the Austrian Chancellor, and Landseer, Thackeray and Lord Palmerston. 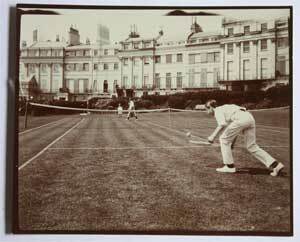 No1 later became known as Fife House after Edward VII’s daughter who married the Duke of Fife. 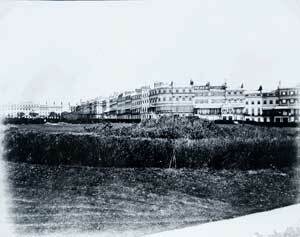 The King visited many times and famously convalesced there with his daughter in February 1908. The Enclosures Committee wrote to all residents asking them to refrain from using the Gardens so that the King might enjoy exclusive rights. 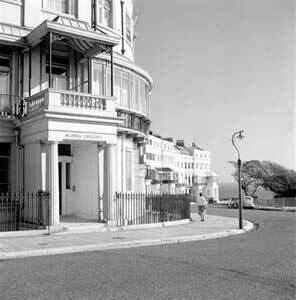 Roedean School started life as Wimbledon House School in 1885 at No 25 and three years later took over No 26 as well (in 1890 it moved to 43-37 Sussex Square). 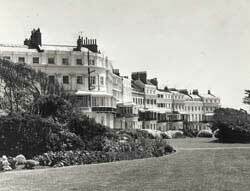 No 16 was also a a school, the Junior Department of Brighton College, from 1918-40, prior to which it had been a military hospital in the First World War. The plaque on No 18 commemorates the actress Anna Neagle, who lived there with her producer husband Herbert Wilcox from 1953-69. Lord Elwyn-Jones, a prosecutor at Nuremburg and Lord Chancellor in the 1970s, lived at No 17. More recently, in the early 2000s, the Australian actress Cate Blanchett and her family lived at No 23.